The multi-awarded Hattingley Valley Classic Reserve sparkling white wine has been chosen by the retailer to become one of only nine sparkling wines selected as part of Whole Foods Market’s ‘Holiday Wine Programme’. The Classic Reserve will be available in all participating stores across the country between October 31st and January 1st – giving this style the prestigious accolade of being the first English wine available across the USA. Since January 2017 Hattingley Valley has seen continued success in America thanks to a very strong partnership with US importer and distributor Valkyrie Selections. Hattingley Valley Classic Reserve is already available at a number of venues across the country including The Hearth & the Hound in LA, The Slanted Door in San Francisco, Waypoint & Deuxave in Boston, The Clocktower & Grand Central Oyster Bar in New York and Blackberry Farm in Tennessee. 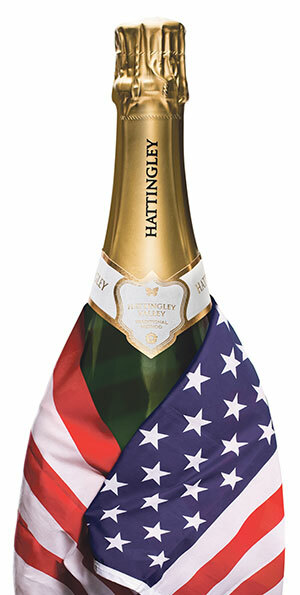 Hattingley Valley has created a new label specifically for the US market with a more contemporary look to appeal to a younger, more affluent audience. It doesn’t stop there as Hattingley’s Classic Reserve will be appearing in 100 Jacques Wine stores in Germany as part of the ‘rarities tasting’ in November & December. Hattingley is also anticipating strong peak sales in the UK through distributor Enotria & Coe as well as home delivery partners, Ocado & Waitrose Cellar. Minister of State for the Department of International Trade, Baroness Fairhead, said, “Hattingley Valley’s success is a perfect example of how desirable high quality British products are in overseas markets, and we would encourage likeminded UK companies to follow in its footsteps. For further information, please contact Rebecca Fisher at Hattingley Valley Wines. This entry was posted in News and tagged Wine. Bookmark the permalink.